The Maasai are well known for their proficiency in beadwork. The traditional dress and adornments of the Maasai are incredibly beautiful. However, there are very few Maasai painters. Ole Paul was an extremely prolific painter and at one point I counted 12 paintings sitting on Unik Gallery’s shelves. Needless to say, these paintings sold quickly as he is a very sought-after artist. 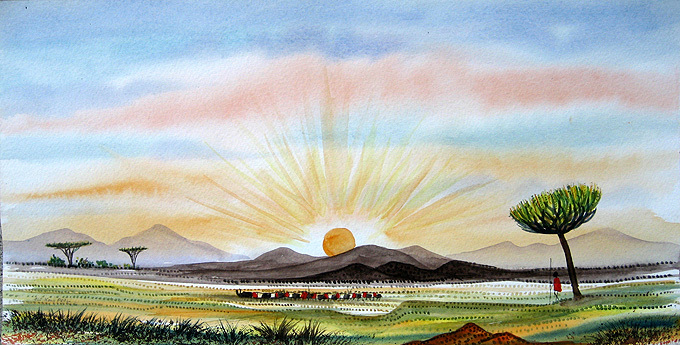 His use of watercolors to create a dramatic three dimensional landscape is unique. 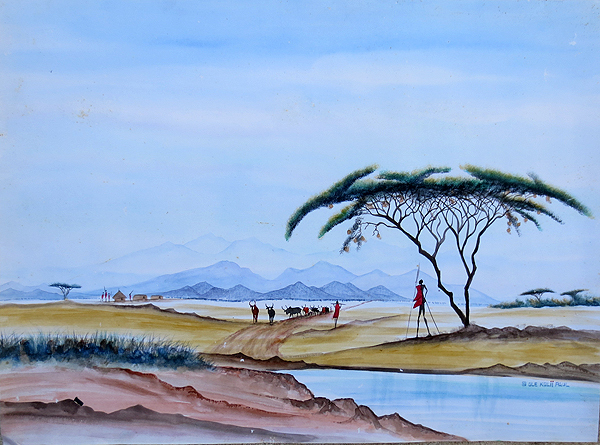 This detail shows a light touch, as well as an interesting use of colors (a purple-trunked acacia?). Unfortunately, Ole Kolii Paul recently passed away from the scourge of Africa: AIDS. 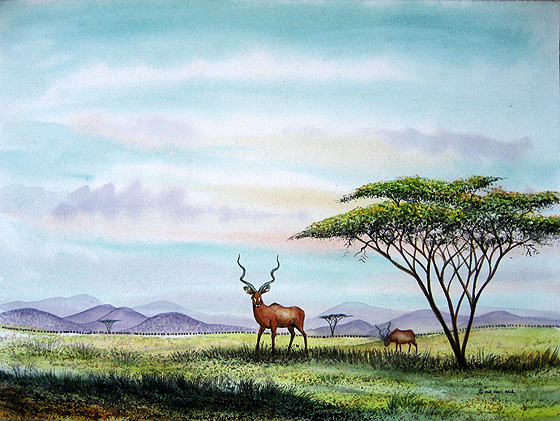 As is the case with art, African or otherwise, his demise has taken his paintings to a new level as there are now a limited number of his paintings available. 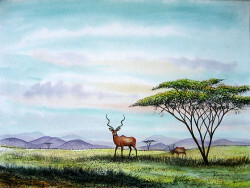 These will be the last paintings of this incredible Maasai artists. 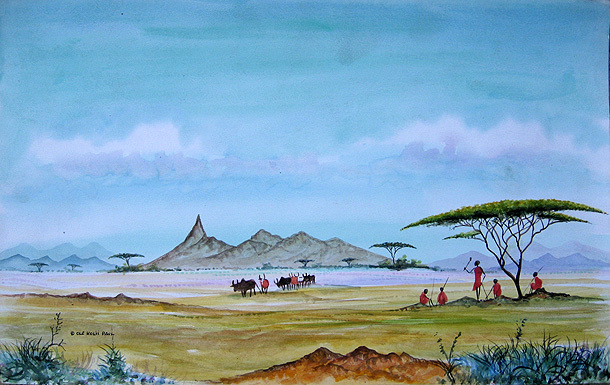 His keen eye and ability to translate the beauty of Maasailand onto watercolor paper will be missed. 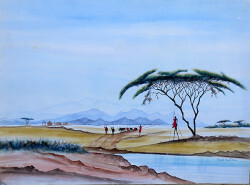 If you are interested in any of Ole Kolii Paul’s paintings, you can Make an Offer by using the Contact Page or by emailing me at: todd@insideafricanart.com. Or, better yet, go to the Purchasing Page to make a purchase!